When will be 1968: The Year That Changed America next episode air date? Is 1968: The Year That Changed America renewed or cancelled? Where to countdown 1968: The Year That Changed America air dates? Is 1968: The Year That Changed America worth watching? 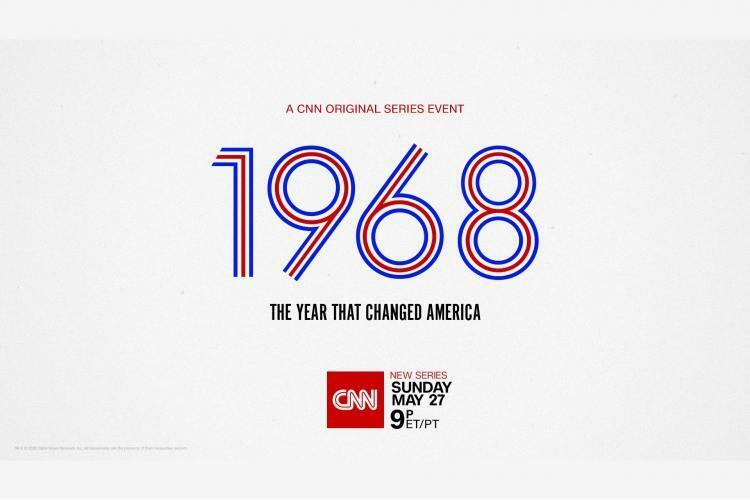 From Emmy Award-winning executive producers Tom Hanks, Gary Goetzman and Mark Herzog comes a CNN Original Series Event, 1968: The Year That Changed America. The four-part series looks back 50 years at 1968, a year marked by seismic shifts in American politics, social movements, global relations and cultural icons who forever changed the modern-day landscape. Never-before-seen archival footage and contemporary interviews with journalists, historians, and notable figures tell the story. The docuseries maps the tumultuous events of the entire year in chronological order. Taking place against the backdrop of the Vietnam War, the civil rights struggle, tectonic changes in society and a presidential election, 1968 features larger-than-life characters like President Lyndon Johnson, Rev. Martin Luther King, Jr., Senator Robert F. Kennedy, Richard Nixon, George Wallace, hippies and yippies, soldiers and students, bra-burners and values voters. It is a year like no other in history, retold as never before. U.S. Marines are besieged at Khe Sanh and the Viet Cong launch the Tet offensive, the turning point in the Vietnam War. Meanwhile, the 1968 presidential election begins to take shape – Senator Eugene McCarthy dares to challenge the sitting president of his own party, Lyndon Johnson, while LBJ's greatest political rival, Senator Robert Kennedy, eyes his own entry into the race. Republican Richard Nixon begins his political comeback attempt with another presidential run, as controversial independent candidate George Wallace mounts a populist campaign. Rev. Martin Luther King, Jr. travels to Memphis in support of a local sanitation worker's strike. On the last day of March, President Johnson stuns the world with a surprise announcement that will change the course of history. Martin Luther King Jr. is assassinated in Memphis and in response, riots break out across the country. The Academy Award for Best Picture goes to the racially-themed In the Heat of the Night and Hair opens on Broadway. At Columbia University, striking students take control of the campus, leading to a bloody confrontation with police. As the battle of Khe Sahn rages in Vietnam, the United States and North Vietnam open peace talks in Paris. In the presidential race, Senators Kennedy and McCarthy battle each other from state to state in pursuit of the Democratic nomination. After the two trade victories, the nation turns its eyes to the final, fateful California primary. The death of Senator Robert Kennedy roils the presidential race. Republican Richard Nixon fights to head off a last-minute challenge from Governor Ronald Reagan of California. Meanwhile, the Democratic Party has lost its most popular candidate and is at war with itself over the Vietnam War. Mayor Richard J. Daley vows to maintain law and order as protesters and politicos converge in Chicago for the Democratic National Convention. The world watches as events inside the convention hall fuel violent clashes in the street. Vice President Hubert Humphrey gains his party's nomination and enters the presidential race as a decided underdog and takes a bold political stance in hopes of reversing his fortunes. Just days after political demonstrations lead to the deaths of scores of students, the Summer Olympics open in Mexico City. Before an international audience, two American sprinters protest the national anthem from the medal stand. As the presidential campaign tightens, President Johnson calls a halt to the bombing of North Vietnam, a move calculated to help the surging Humphrey campaign. Richard Nixon attempts to sabotage the peace talks and the insurgent candidacy of independent George Wallace threatens to throw the election to the House of Representatives. On Election Day, the vote is so close that the winner, Richard Nixon, is not declared until the following morning. On television, Elvis Presley launches a comeback of his own. The widows of Senator Robert Kennedy and Rev. Martin Luther King, Jr. look back at the year. On Christmas Eve, Apollo 8 comes around the dark side of the moon and broadcasts, live around the world, the first-ever images of the earth from space. 1968: The Year That Changed America next episode air date provides TVMaze for you. EpisoDate.com is your TV show guide to Countdown 1968: The Year That Changed America Episode Air Dates and to stay in touch with 1968: The Year That Changed America next episode Air Date and your others favorite TV Shows. Add the shows you like to a "Watchlist" and let the site take it from there.